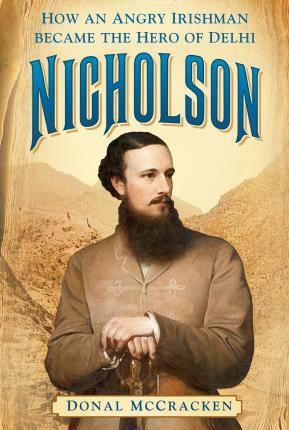 BORN in Dublin in 1822, Lieutenant-General John Nicholson was raised and educated in Ireland. He joined the East India Company's Bengal Army as 16-year old boy-soldier and he saw action in Afghanistan, the two Anglo-Sikh wars and the Great Rebellion or Mutiny. He died in the thick of battle as the British army he was leading stormed the ancient city of Delhi in September 1857. He was only 34 years old. His legacy and his legend as the `Hero of Delhi', however, far outlived him. As well as the Indian cult drawn to him, at home he became a hero and was portrayed in epic stories for children, inspiring generations of young boys to join the army in his footsteps. In more recent times, some turned the hero into a villain; others continue to consider him the finest army front-line British field commander of the Victorian era. Donal P. McCracken was born and educated in Ireland and is a senior professor of history in the Centre for Communication, Media and Society at the University of KwaZulu-Natal in South Africa, where he was for many years dean of Humanities. His other books include works on the Irish diaspora, especially in Africa, on botanical history.